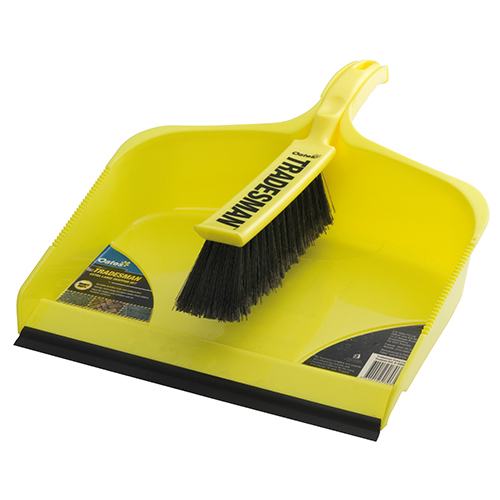 Durable bristles trap and collect dirt. Sturdy, extra large dustpan holds more debris. Ideal for indoor and outdoor use on multiple surfaces. Bright colour for high visibility.